A seven-legged octopus. A tuna that can't carry a tune. A blowfish with debilitating allergies. A tiger shark who faces criticism for befriending non-sharks. 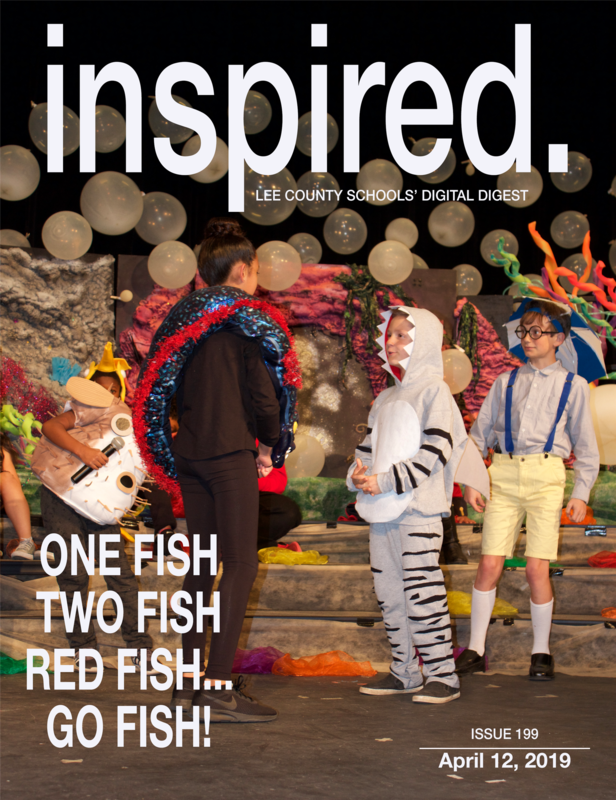 “Go Fish” – a musical production currently set to be staged at 6:30 p.m. on Thursday, April 11 and Friday, April 12 by a group of about 50 third, fourth and fifth graders from J. Glenn Edwards Elementary – is all about accepting yourself and celebrating diversity. Barbara Yuskevich is the founder of the all-volunteer Lee County Literacy Council, which makes its primary goal to “improve the reading, writing, spelling and comprehension of children and adults” through “research-based literacy instruction in a nurturing environment.” And nowhere is that goal – and Yuskevich's passion for literacy – more evident than at B.T. 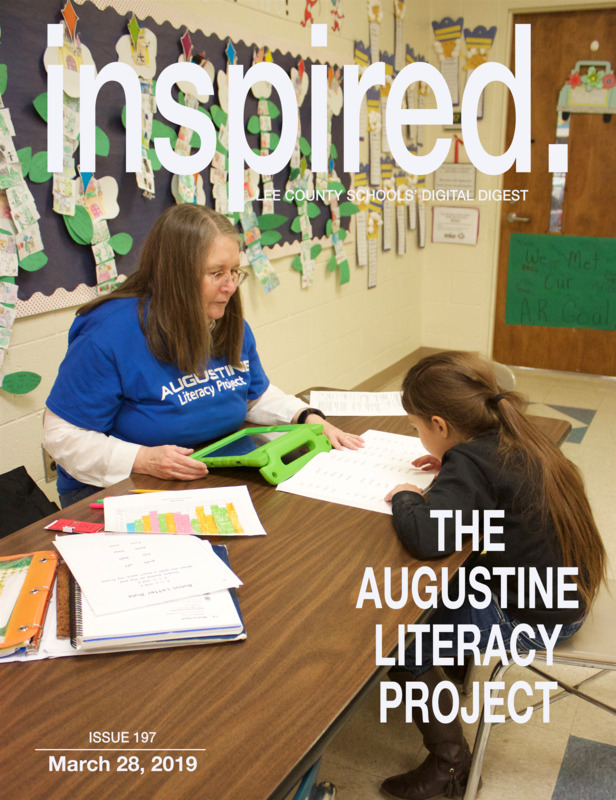 Bullock Elementary School in Sanford, where the Literacy Council's Augustine Literacy Project is at work to help first and second graders improve their reading skills to at or even above grade level. Thanks to a lot of hard work on the part of Jacob Bowers and Tyler Profio, Lee County Schools will be well represented at two of the nation's military academies when classes convene this fall. 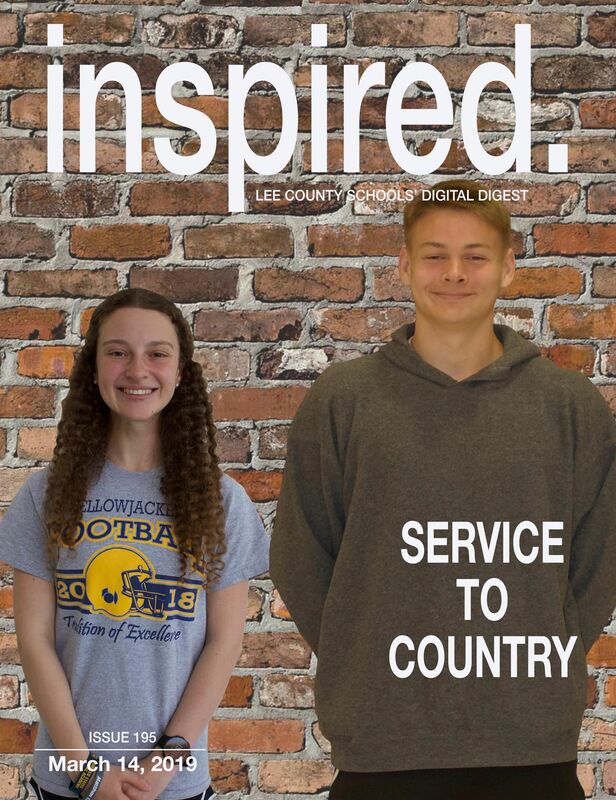 Bowers, a senior at Southern Lee High School, and Profio, a senior at Lee County High School, have been accepted to attend the U.S. Air Force Academy in Colorado Springs, Colorado and the U.S. Naval Academy in Annapolis, Maryland, respectively. 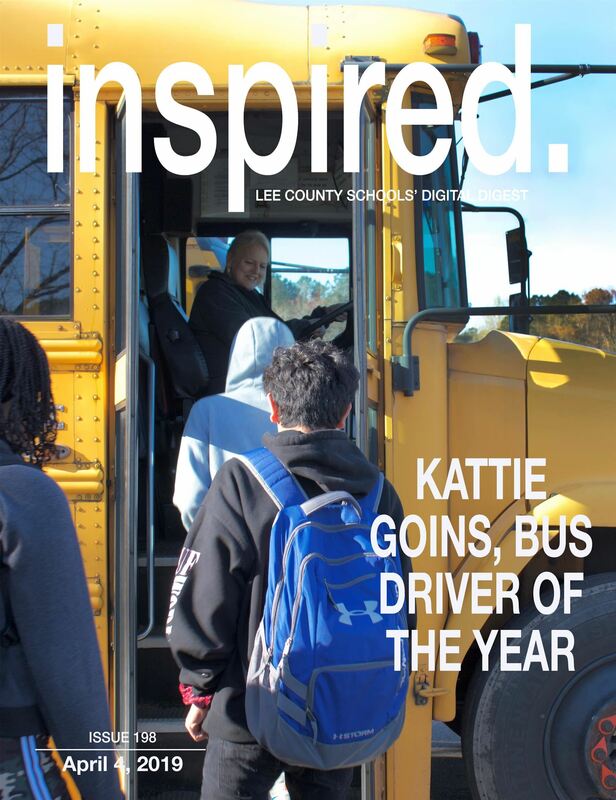 On March 5, 2019, the Lee County Board of Education unanimously voted to discontinue the 15 minutes added to the school day and return to the regular school day schedule on the traditional calendar beginning March 25, 2019. 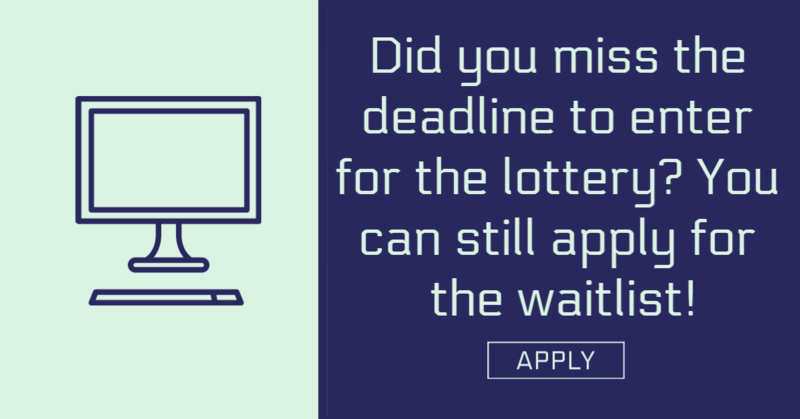 In addition, the Board unanimously approved to restore March 22, 2019, as an optional teacher workday. 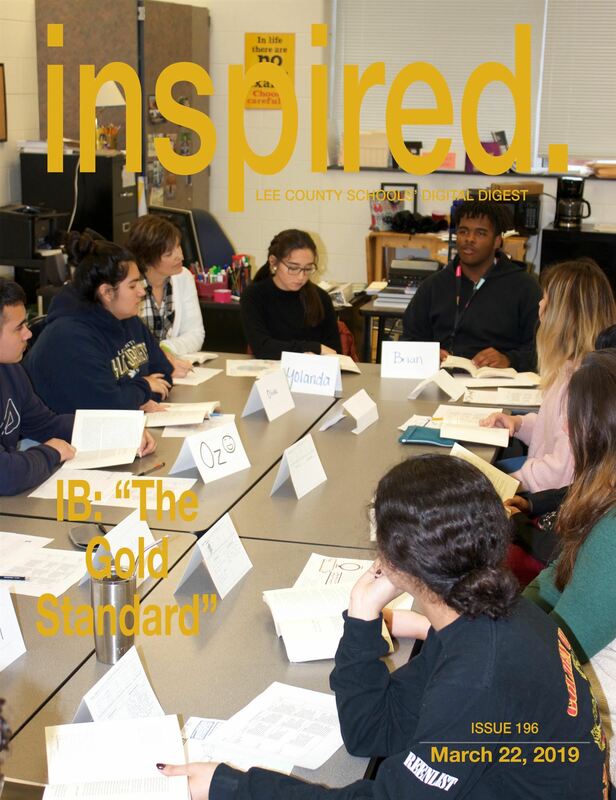 The Lee County Board of Education approved — at its regularly scheduled meeting — that the half-days on October 26, 2018 and February 15, 2019 are now full instructional days for students. 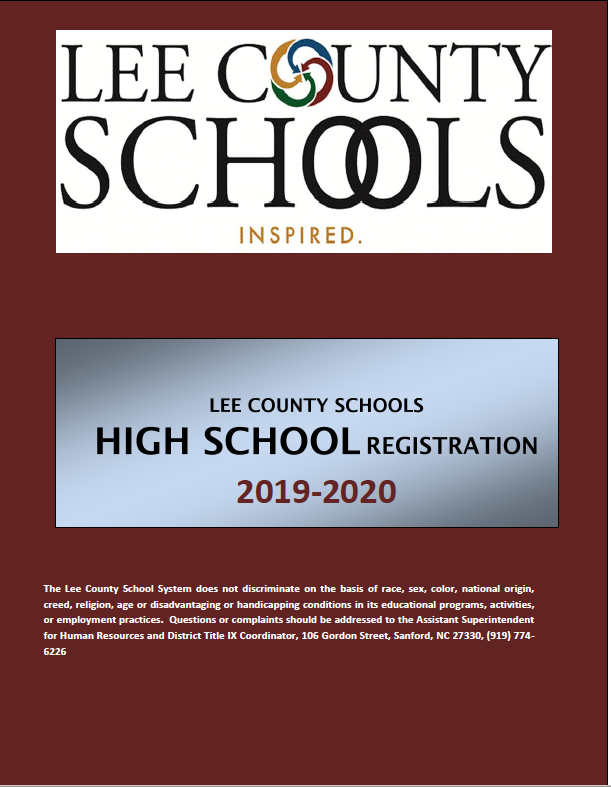 The 2019-2020 Lee County Schools High School Registration Guide is now available! 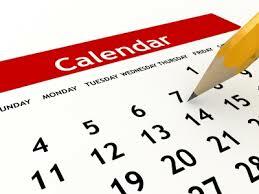 Click here to view the guide. 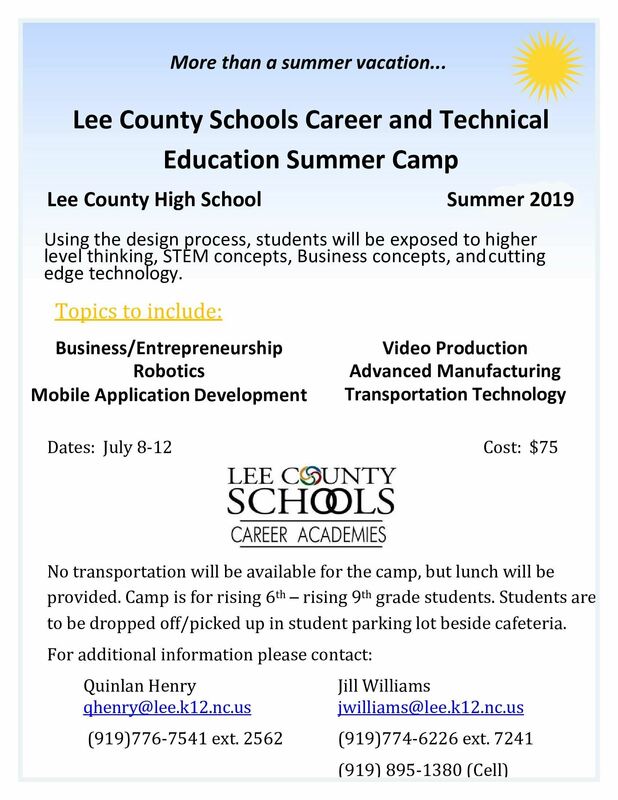 The Lee County Board of Education and the Lee County Board of Commissioners have selected the former W.B. 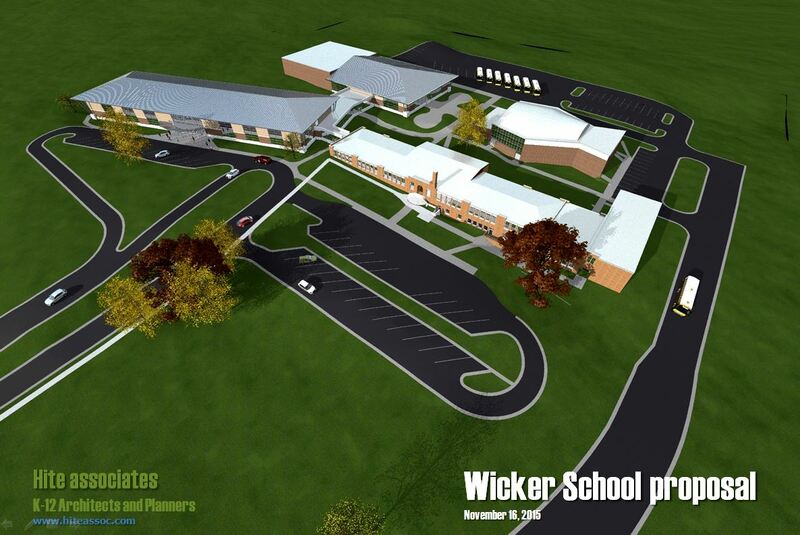 Wicker School site, located at 900 S. Vance Street in Sanford, as the location for the county’s newest elementary school. 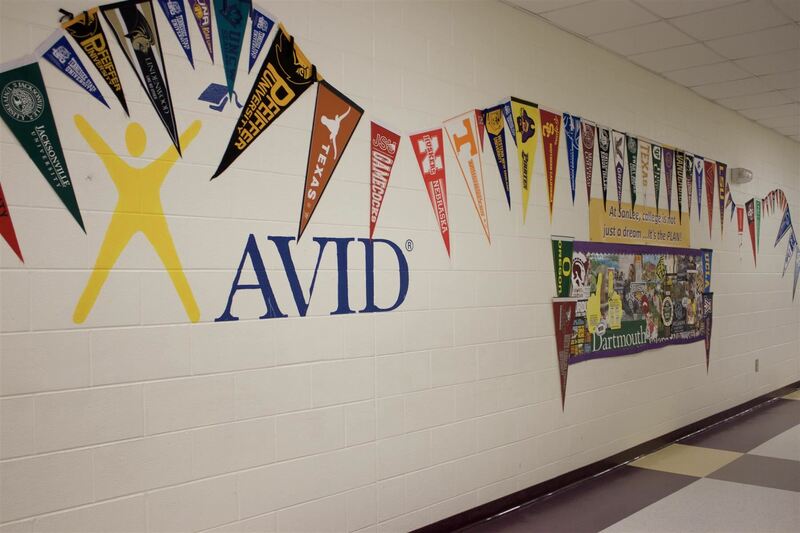 The school is expected to open in the fall of 2019. Click here for more.